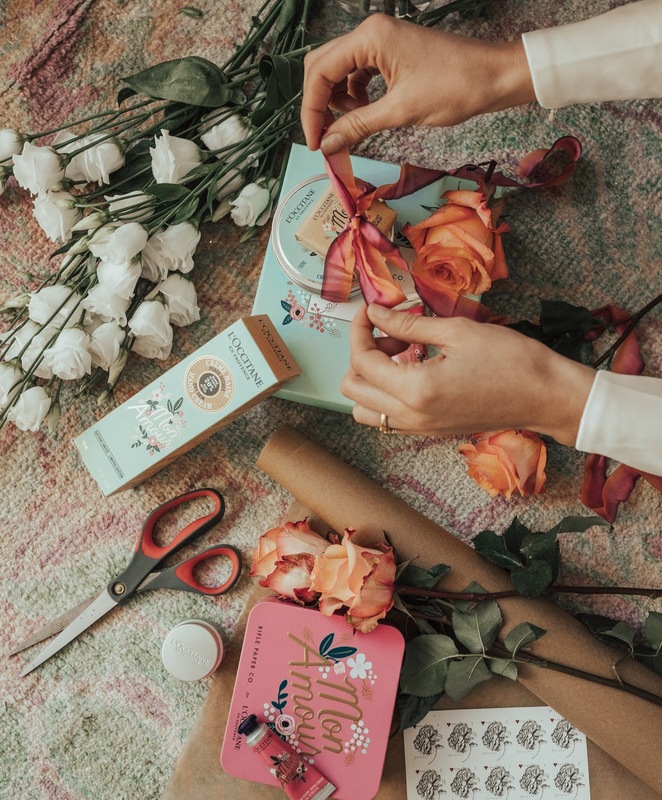 This year I partnered with L'Occitane and Rifle Paper Co. to get a head start on picking some perfect little treats for the girls who inspire me and support me! I feel so lucky to be surrounded by incredible friends who have my back no matter what so I wanted a little something to show them some love. 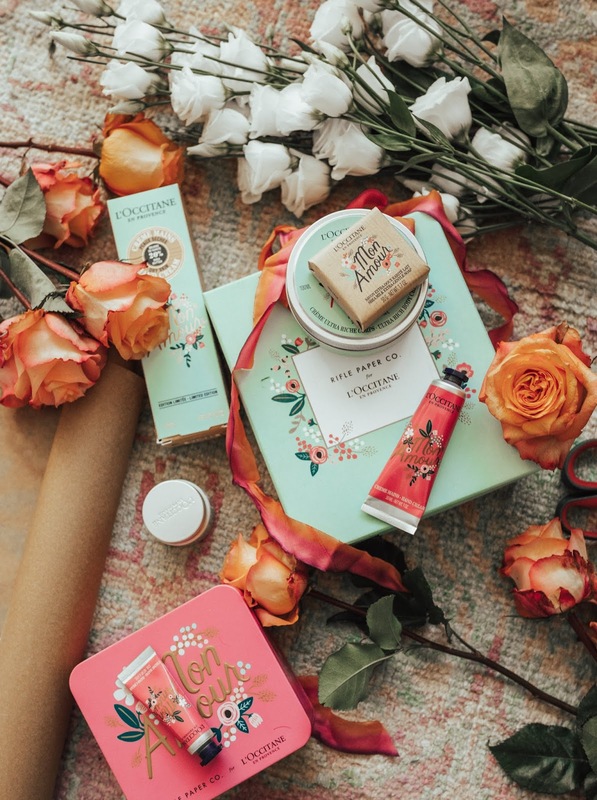 The L'Occitane Shea Butter range is adorned with vibrant shea blossom and leaf designs made by Rifle Paper Co. which is founded and owned by female entreperneur, Anna Bond! These hand and body creams have a light and lovely scent inspired by the South of France with the same high-quality moisturizing power we know L'Occitane for. I cannot stop looking at this cute packaging! 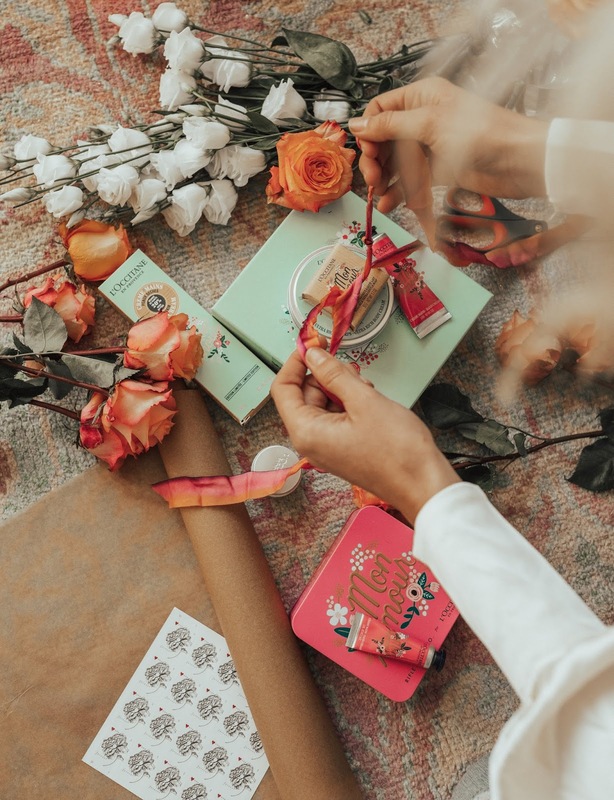 Not to mention how much I love to see L'Occitane and Rifle Paper Co. committing to support female empowerment and entrepreneurship; it is incredible to feel like these gifts are directly benefitting women as we rise up and be the best we can be. The absolute best part? 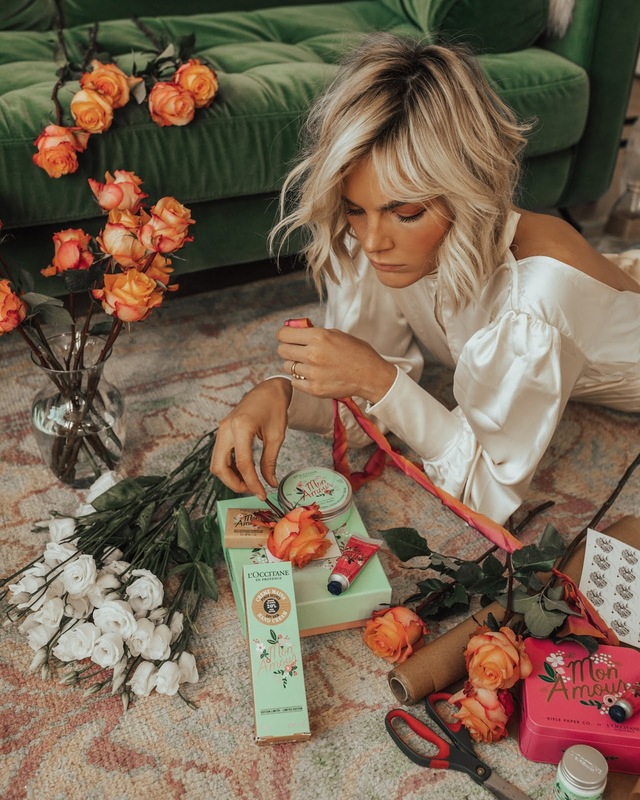 L'Occitane is providing a gift with every purchase AND 20% your next full priced order when you use the code "KISS" at check-out (until February 14th). 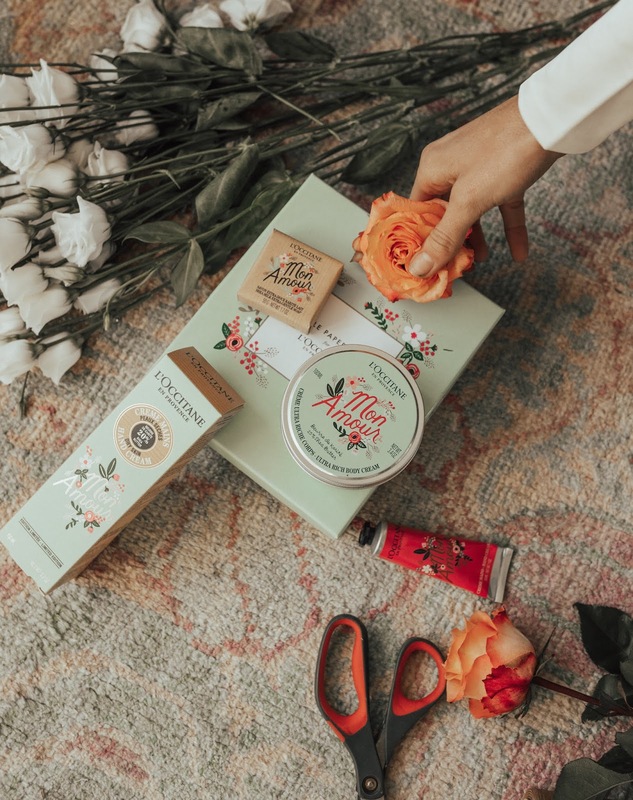 These adorable gifts are a perfect way to test out some of L'Occitane's great products, like the Shea Butter Hand Cream or Shea Butter Ultra-Rich Body Cream -- necessities for this winter weather. I'm so grateful to have a squad of sisters by my side. Life can get a little messy sometimes and nothing feels better than unwinding with a night of side-splitting laughter (and maybe brainstorming new business ideas). Use this Valentine's Day to let your ladies know how much they mean to you! What's your favorite Valentines gift you've ever given or received? Let's make 2019 a love-filled year.